Burren is the 996th highest place in Ireland. Burren is the second most southerly summit in the Boggeragh Mountains area. 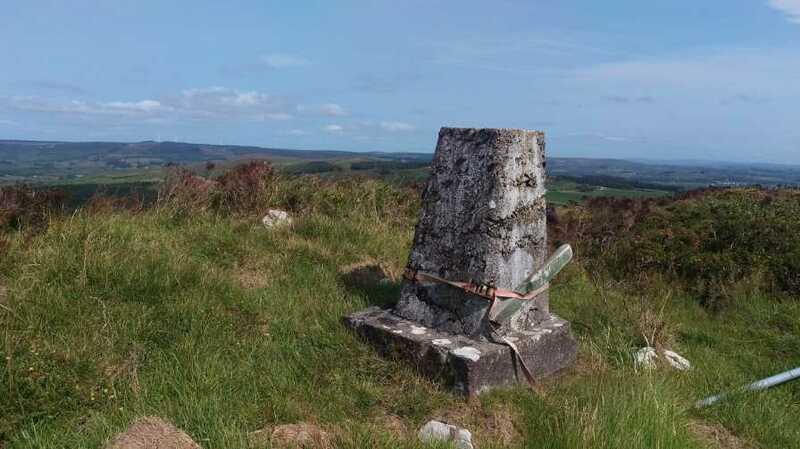 Picture from group : Summit Trig. A tricky ascent as this hill is surrounded on 3 sides by farmland and on 1 side by windfarm construction. I ascended through farm land (less than ideal but didn't meet anyone) from W36490 78617 A where there is room to park 2 cars on the roadside.